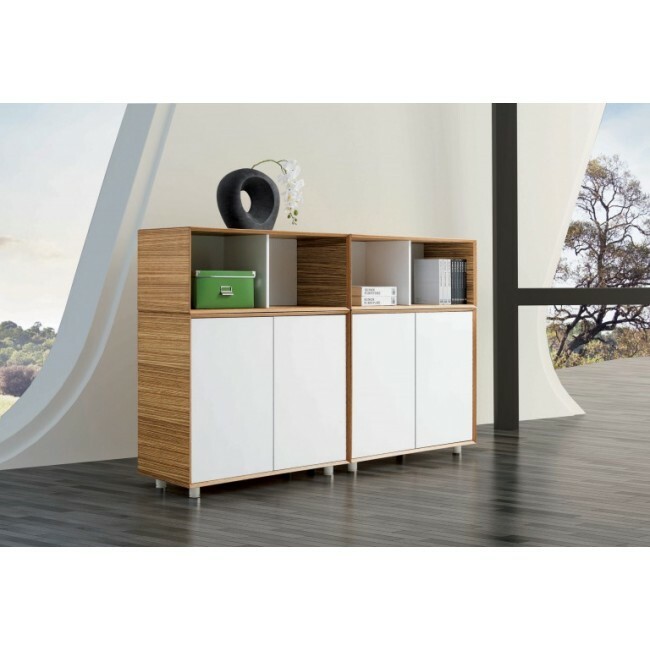 Open top timber veneer and white melamine cabinet. Natural Zebrano timber Veneer exterior with White melamine backboard and divider. 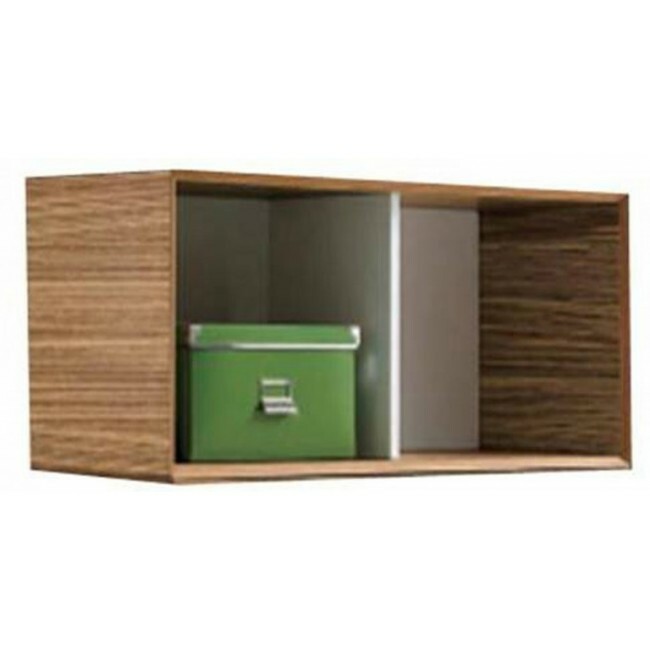 Perfect for creating extra filing or displaying space.